The Nell Hodgson Woodruff School of Nursing has 256 bachelor’s, 200 master’s, and 18 doctoral students. Bachelor’s degree graduates go on to become national and international leaders in patient care, public health, government, and education. Master’s degree graduates are qualified to seek certification as nurse practitioners, nurse midwives, and/or clinical nurse specialists. The school’s doctoral program focuses on clinical research, with emphasis on health policy, health outcomes, and ethics. The school offers a dual-degree undergraduate program with several colleges and a dual-degree master’s program with the Rollins School of Public Health. 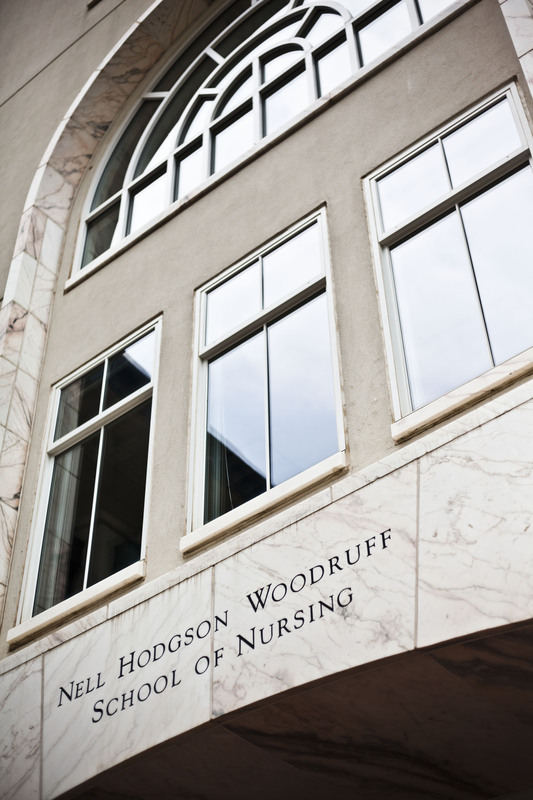 The school also offers an accelerated BSN/MSN program for students with degrees in other fields who want to serve the community as advanced practice nurses. In fiscal year 2011, the school received $10 million in research funding. U.S. News & World Report ranked the school’s graduate programs 21st overall. Its nurse midwifery graduate program ranked 13th in the nation and its pediatric nurse practitioner program, 11th. Major programs within the school include the Fuld Fellowship, targeting second-career students with interest in serving vulnerable populations; the Lillian Carter Center for Global Health & Social Responsibility; and the Maternal and Newborn Health in Ethiopia Partnership. The school has 54 faculty, and students can learn from adjunct faculty at some 300 clinical sites. Learning sites include an alternative break program in three countries and a multiuniversity, multidisciplinary collaborative summer program with Georgia migrant farmworkers. The school has 6,401 alumni.